A really cute love story! I'm a sucker for hate to love romances and this one fits the bill. I also enjoyed small town romances and the setting in Then There Was You is just that. Sara Langdon is back to her hometown of Angel Falls. She's a physician and she has come back home to help with the care of her grandmother who's suffering from dementia. In the meantime, Sara has joined her father's small-town medical practice after training at Columbia. Sara left town after her engagement dissolved when the groom-to-be, Tagg, sleeps with the "cake girl". Since then, Sara can't eat any type of cake. She blames part of her debacle on Colton Walker, her ex-fiancée's best friend. She has known Colton for a long time. He used to make fun of her when they were teenagers which explain Sara's dislike of him. So when she learns, he's her first patient she has a mini meltdown but in the end, she does her job. Sara might dislike Colton but she's also not blind, he is H.O.T. But nothing can happen there, right? Colton Bentley Walker is the police chief in Angel Falls. He had a hard time growing up after his parents pass away. He went to live with his grandmother and he had to take care of his younger sister Hannah, He had a lot of responsibilities from a young age and now, as the police chief, his responsibility is even bigger now that the whole town depends on him. Colton is a family man and he knows his behavior as a kid towards Sara was awful, He was a moron but maybe now, they can become friends except his reactions to her are all completely unexpected. 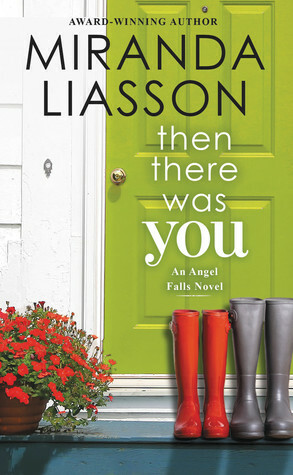 Then There Was You is perfect for someone who enjoys romances in a small town setting. It was engaging from the beginning and above all, sweet and cozy. I was left wanting to read more books about other interesting characters I liked in this novel. I hope maybe we get a book or two.